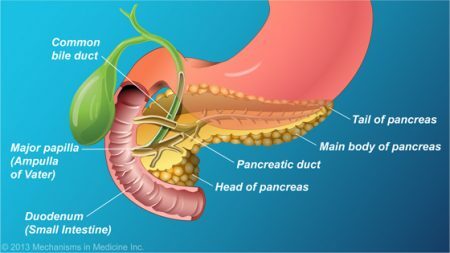 The pancreas is an organ in the upper abdomen. It is approximately 6 inches long and is located behind the stomach. 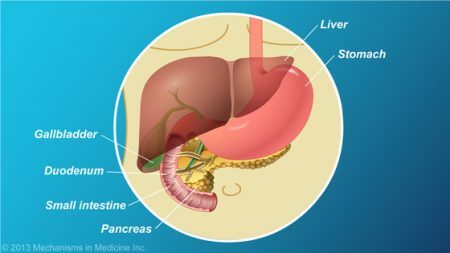 It makes enzymes, which help digest proteins, fats, and carbohydrates before they can be absorbed in the intestine. It makes hormones (chemicals made from glands), the most important of which is insulin, which control how the body uses and stores sugar (glucose), its main source of energy.